20th-23rd Mar 2018. Anuga FoodTec 2018, Cologne, Germany. Visit us at the leading global trade fair for food and beverage processing technology in Cologne, Germany. We will present you our range of processing equipment for the food, beverage and scientific sectors and look forward to discussing the enhancements your processes and products can achieve with Elea PEF technology. We won the silver medal for our compact all-in-one SmoothCut One PEF system. Celebrate with us right at the booth, get a drink, try our sweet potato chips, freeze dried strawberries and other PEF enhanced goodies. We look forward meeting you there and discuss a possible implementation of our pulsed electric field systems in your processing line. Write us an e-Mail to info@elea-technology.com and make an appointment with us in advance to guarantee the best possible advice. We have some free tickets left for you, write us an e-mail to info@elea-technology.com. What can you expect at our booth? The Anuga FoodTec shows food manufacturing technology covering the whole food production environment. We are specialized in pulsed electric field systems which can effect a whole production line from the raw product until end of line and far bejond. 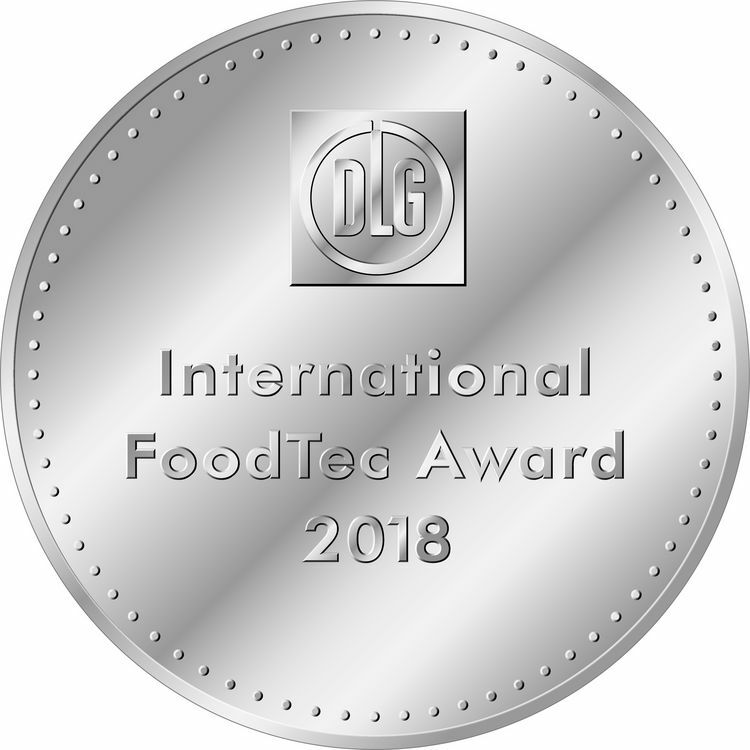 We won the silver 2018 International FoodTec Award for innovation, so join us and celebrate with us at the booth. The SmoothCut™One is the latest addition to the Elea PEF SmoothCut™ system range. Its small footprint and compact design comes in a single unit including pulse generator, treatment belt and vessel. Making the SmoothCut™One the perfect fit for the smaller production line. 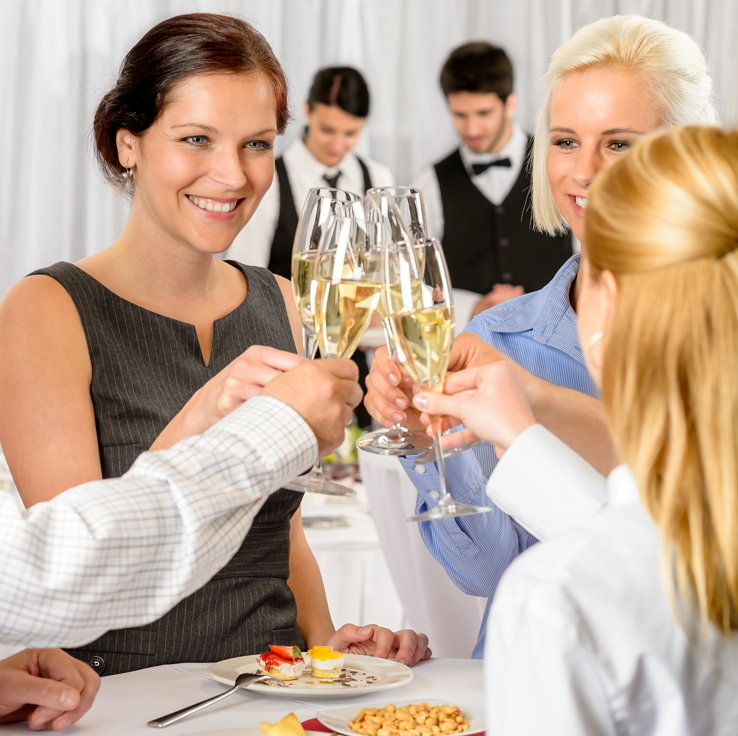 Before the exhibition days come to end, we invite you to show up at our booth and have some champagne or a PEF juice cocktail in a sociable atmosphere. Write us an e-Mail in advance and make sure, that your responsible PEF expert will be onsite the same day. Nice talks with a cold drink in the hand, in our opinion that makes a good end of an exhibition day. 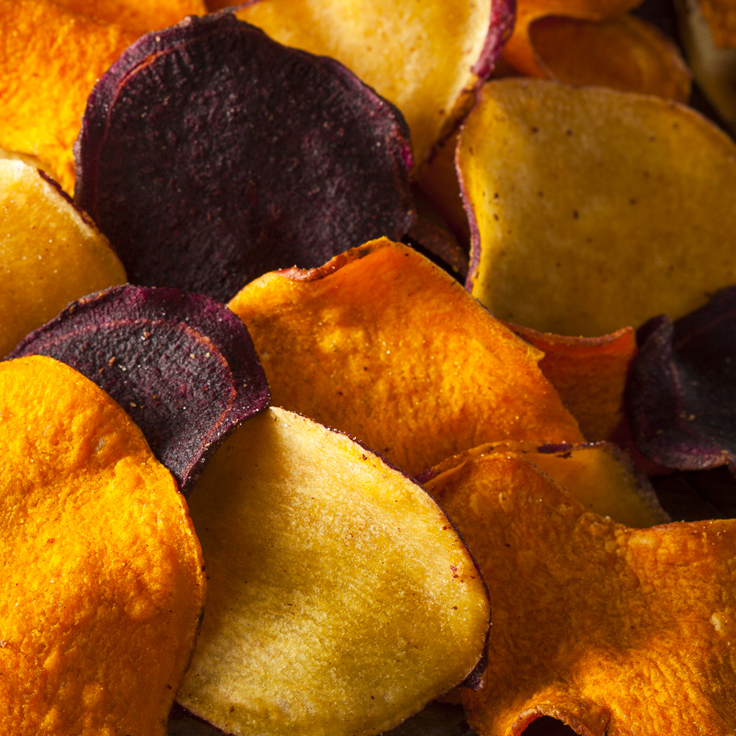 Try PEF treated sweet potato chips. Our pulsed electric field systems effect the snack production over the whole line, discuss with us how the benefits of greater yield, energy and water savings, less oil uptake and outstanding colour can be added to your snacks and production line as well. Experience the crunch and flavour of PEF treated dried fruit snacks like strawberries. With pulsed electric fields the quality of dried fruit products can be enhanced and the all natural flavour well preserved. Various drying methods can benefit from a PEF pre treatment, talk directly to our drying experts. 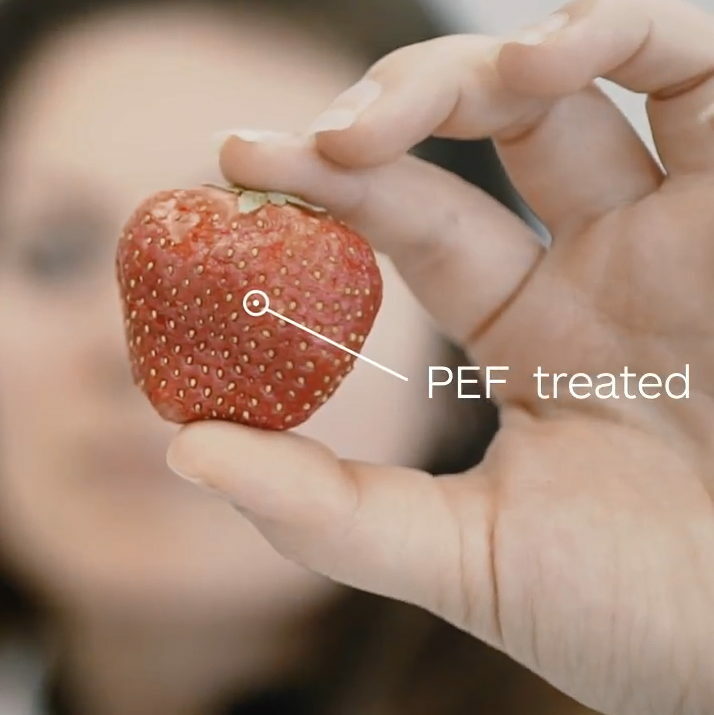 Taste the PEF effect! 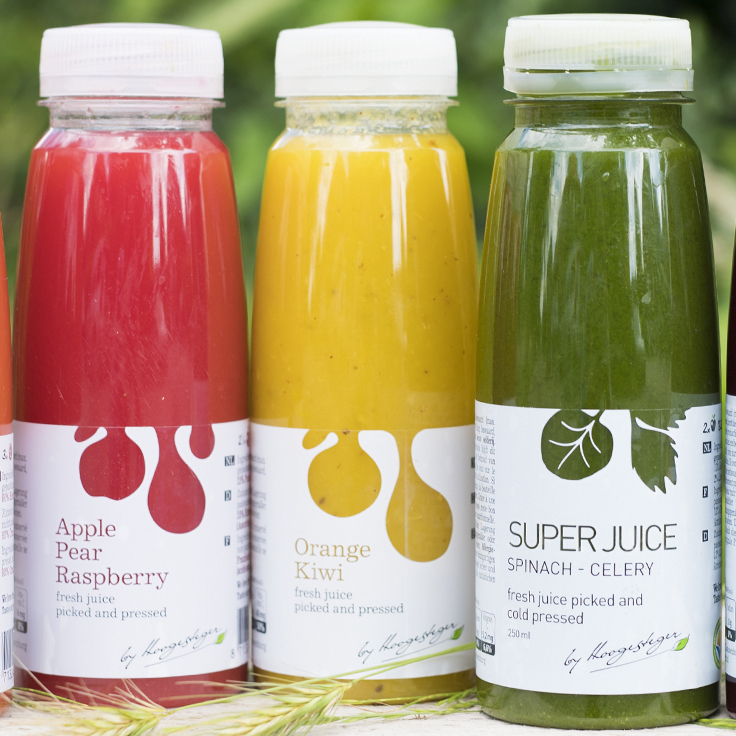 Full flavour and nutritional value plus amazing colour and long shelf life – all of that in one bottle. Pulsed electric fields enable to bring out the maximum of your raw product, both in yield and quality. We have 11 different smoothies on the booth, so come along and have a sip. 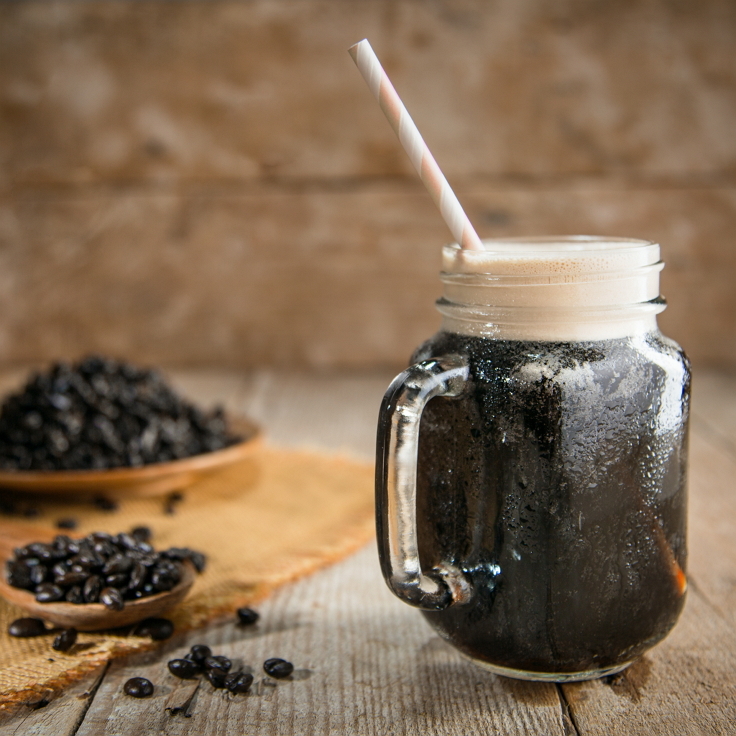 Ever tasted a full flavour cold brew coffee? Give it a try at our booth. The treatment with our pulsed electric fields technology makes it gently stable and preserves all the good and intense coffee flavour. On top of that, filled in a glass bottle gives this premium product the packing it deserves. Speak with our experts for pulsed electric field applications directly and get your information from the people who are practising PEF every day. Talk directly to our R&D PEF experts, scientists and technicians for snacks or drying or liquid applications as well as with our engineers and our distribution partners from UK and US. They can discuss with you how pulsed electric fields and our systems might benefit your products and production lines. Our own research and development of PEF applications in various sectors builds up our knowledge base continuously and we are happy to also discuss with you any possibly to date unsearched application fields, so please do not hesitate to talk with us. Write us an e-Mail to info@elea-technology.com and make an appointment with us in advance to guarantee the best possible advice.